Is Kane ready and able? England face Lithuania for the first time ever this evening in a Euro 2016 Qualifier at Wembley with the media full of speculation as to when Harry Kane will make his England debut, not ‘if’. The withdrawl of Daniel Sturridge from the squad earlier in the week brought the prospect of a debut from the start for the Spurs youngster closer, but the general view seems to be that Hodgson will stick with the tried-and-tested Danny Welbeck to pair Rooney up front, but I fully expect to see Kane on the pitch at Wembley at some point this evening. The rise of Harry Kane has been so momentus, at least in the eyes of the media, that it is easy to forget that he has only made 40 appearances in the Premier League in his entire career (Saido Berahino, for example, has made 62 appearances), but his return of 19 goals from 26 appearances this season in the top flight made his inclusion in the England squad an inevitability. It is a far cry from the 70s, 80s and 90s when a player would have had to have been performing consistently in the top flight for two or three years before a full England call up was considered, and even then it wasn’t guaranteed. Consider, for example, that after starring in the relatively successful Albion side of the late sixties, Tony Brown only got an England call up at the age of 25 after finishing as the leading goalscorer in Division One in 1970-71 (from midfield). He played against Wales at Wembley in May 1971 and, despite maintaining an excellent goalscoring record throughout his career, he never played for England again. Bomber Brown is one of a long list of “one cap wonders” including Joey Barton, Lee Bowyer, Chris Sutton, Colin Harvey, Tommy Smith, Francis Jeffers and David Nugent. Believe it or not, even Jack Wilshere has only made one appearance for the full England team! Given his meteoric rise, there is the chance that Harry Kane’s England career could be equally short should his form desert him in the season run-in. Having said that, he is likely to play in both games this week, and I expect him to start in the friendly against Italy so he will probably get two caps, at least. It is the paucity of England players playing for the top sides that makes fans and media alike clamour for the inclusion of the likes of Harry Kane. As an England fan, I hope that he continues to produce as he has done over the past few months, and that Berahino also continues to impress as they could be regulars in the England squad for many years to come. Tonight’s match should be a straightforward victory for England, but such games do not always turn out that way. Lithuania began their campaign with two wins. They won 2-0 in San Marino thanks to goals from Deivydas Matulevičius and Arvydas Novikovas, and then beat Estonia in Vilnius with Saulius Mikoliunas scoring the only goal. But a 2-0 defeat at home to Slovenia and a 4-0 thumping in Switzerland have left Lithuania fourth in Group E on goal difference with Slovenia and Switzerland ahead of them also on 6 points. The only player in the Lithuania squad to play in England is the 19-year-old striker, Simonas Stankevičius, who is currently on loan at Nuneaton Town from Leicester City. The captain, Tadas Kijanskas, plays at Hapoel Haifa in Israel and the most capped player in the squad, 30-year-old midfielder Saulius Mikoliūnas, has 70 appearances for his country and plays for Belarussian Premier League side, Shakhtyor Soligorsk. Another player that British football fans might know is defender, Marius Žaliūkas, who plays for Rangers in the Scottish Championship. Suffice it to say that their are no Lithuanians playing in any of Europe’s major leagues! After tonight’s game, the England squad (and me), will travel to Italy to prepare for the friendly in Turin on Tuesday evening in the Juventus stadium. 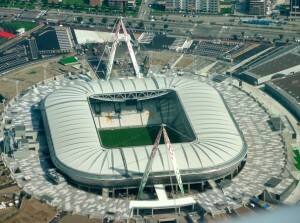 The stadium was built on the site of the old Stadio delle Alpi and was opened in 2011 holding just over 41,000 spectators. England last played Italy in Manaus last summer, when goals from Claudio Marchisio and Mario Balotelli either side of an equaliser from Daniel Sturridge gave the Azzuri a winning start to their World Cup campaign. The previous game saw a reverse of that scoreline when England came from behind to win 2-1 in a friendly international in Berne. Daniele De Rossi opened the scoring for the Italians in the first half but Phil Jagielka equalised and Jermain Defoe scored the winner with ten minutes to go to exact some sort of revenge for the defeat on penalties that Englaind suffered in their previous match at Euro 2012 in Kiev. England’s biggest ever win over Italy came in Turin back in 1948 when Tom Finney scored twice to add to goals from Stan Mortensen and Tommy Lawton to give England a 4-0 win. But on the other three occasions that England have played Italy in that city, it is Italy that have come out on top, 2-0 in a friendly in 1973, 1-0 in the European Championships in 1980 and 1-0 in another friendly in 2000. This should prove a good test for England. They have so far won every game this season with, perhaps, their most impressive results being in Basel and Glasgow. 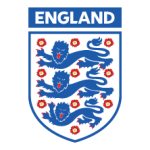 A strong Italian side will provide a sterner examination and give some insight as to whether the current crop of England players are really improving following the poor showing in Brazil.